Location!!! 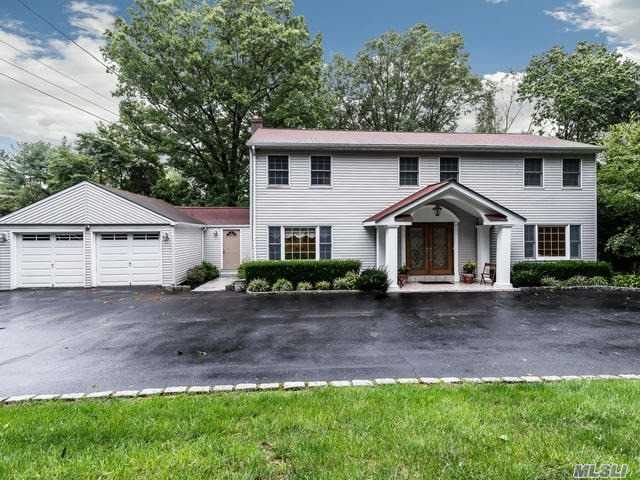 Great Colonial On One Beautiful Landscaped Acre In Desirable Greenlawn/Harborfields Schools. Beautiful And Quiet Setting Allows For Entertaining Inside And Out. Spacious Entrance Hall Flows To An Eat-In-Kitchen. Both Dining Room And Living Room Have Back Yard Views. Master Bedroom Suite With Vaulted High Ceilings. Finished Basement - Gas And Cac.